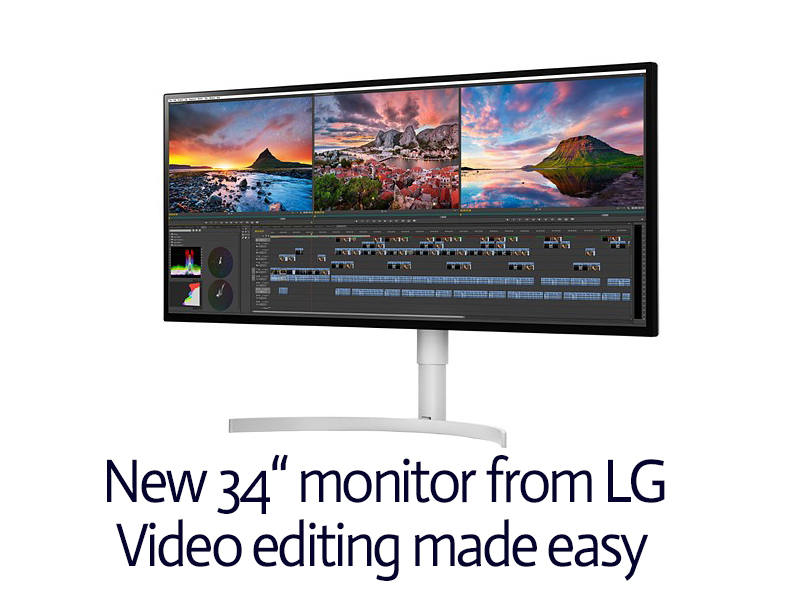 This new 5K UltraWide monitor from LG earned the VESA DisplayHDR-600 badge, meaning it hits at least 600 nits peak brightness, 10-bit encoding, and 99% sRGB and 90% DCI-P3 coverage. The 34-inch 5K UltraWide is the real eye catcher, a monitor that takes aim at video editors who want to edit 4K footage at native resolution and still have room for editing panels on either side of the screen. Boasting a 21:9 aspect ratio and resolution of 5120 x 2160, the monitor could ostensibly replace a 2-screen setup with a single panel. Combine that resolution with the fact that VESA have given this monitor its DisplayHDR-600 designation, and you’ve got a truly HDR-capable IPS monitor, something LG only managed to achieve thanks to its Nano IPS technology and possibly some other trickery (more on that later…). As for color reproduction, Nano IPS technology manages to squeeze 98% of the cinema-grade DCI-P3 color space into the 4K monitor below. It stands to reason, then, that this same technology would bring similar results to the 5K UltraWide, but we’ll have to wait for LG to confirm this. The HDR-600 badge means the monitor has to at least hit 90% DCI-P3, but it’s likely the 5K UltraWide hits a higher percentage than that. The LG 5K UltraWide 34WK95U will be on display at CES in Las Vegas in a couple weeks’ time, where we hope to find out more technical details. LG hasn’t released official pricing and release date details, but the monitor has been spotted online with a price tag of $1,500 and expected release date of May 2018.